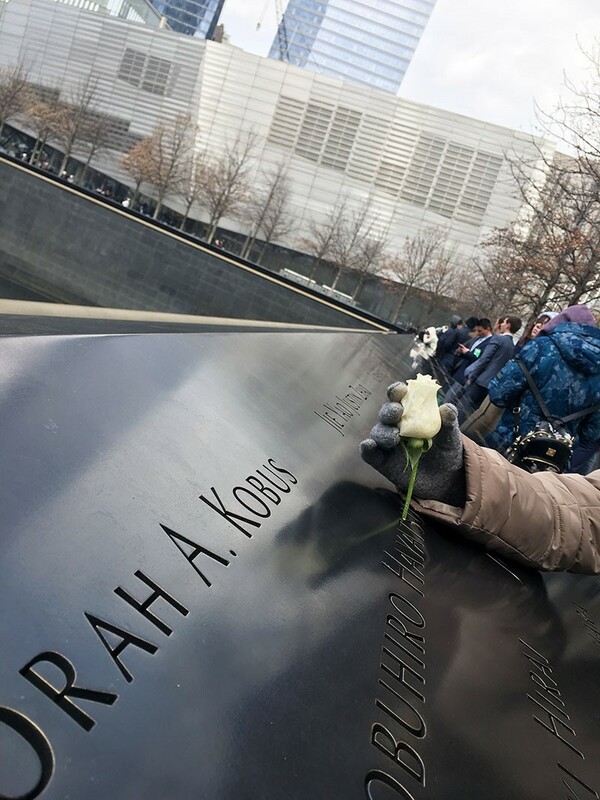 A rose is placed to honor one of the individuals who perished during the tragedy of 9/11. Before Emery was released for Spring Break, grades 9-11 took week-long trips to get a better perspective on our nation outside of the classroom. These trips are better known as Spring Trips as every year, each grade takes a trip in the spring to better understand what they are learning about in school. For example, the ninth graders traveled to Alabama and Tennessee to better understand the Civil Rights Era and music in the 1950s. The tenth grade went to San Francisco to learn more about the LGBTQ community and their struggle to get equal rights. My class, however, flew to New York City to learn more about various groups in the city, such as immigrants and Jews. The overall theme of our trip was empathy, and the event that best embodied this theme was Ellis Island. Here, we learned about the rough conditions many immigrants endured during their plight to come to America. Students got to check old records and see if they had any family who passed through those very hallways as a hopeful immigrant, a truly awe-inspiring experience. “I think that learning about the immigrants and having ancestors come through Ellis Island is really important in many of our stories because we wouldn’t be here without their journeys to America,” said junior Beatrice Graubart. Our class also got to see the 9/11 Memorial, a Jewish community, two Broadway shows, and the United Nations headquarters. The common thread between all of these locations is that each one plays an instrumental role in shaping our nation as an ethnically diverse, historically distinctive, and culturally enriched place of opportunity.